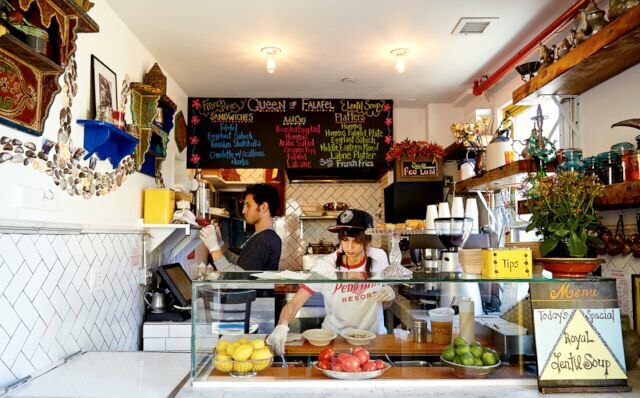 The founders of House of Yes opened a falafel place called Queen of Falafel. It’s at the corner of Wyckoff and Jefferson St. Right under that giant painting of the word “Yes.” Good location. Even better signage. House of Yes is the circus and performance troupe that previously had a location in East Williamsburg before a dramatic closure in 2013. There are three distinct spaces – the theater, the restaurant and bar, (both of which are scheduled to open later this year) and finally, the slightly incongruous falafel counter. But incongruity be damned. They’ve managed to fit a formidable force of falafel into a space only slightly larger than a walk-in closet. Unless of course you count the dining room. Which also doubles as their dressing room during performances. So, two walk-in closets. Okay, first it's more than falafel. 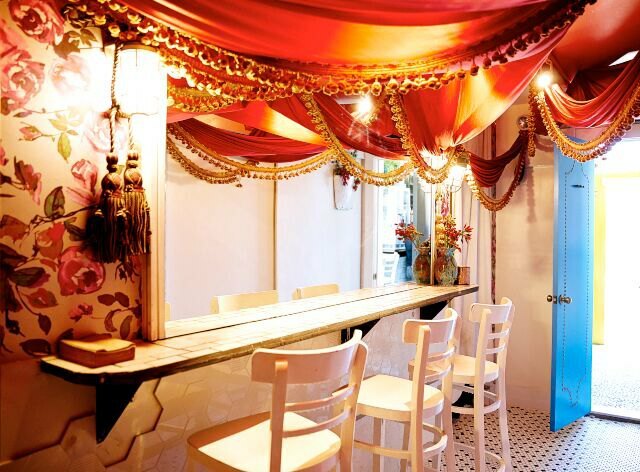 Its menu was was created by Rivka Orlin to give you tasty versions of classic Middle Eastern and Mediterranean fare. 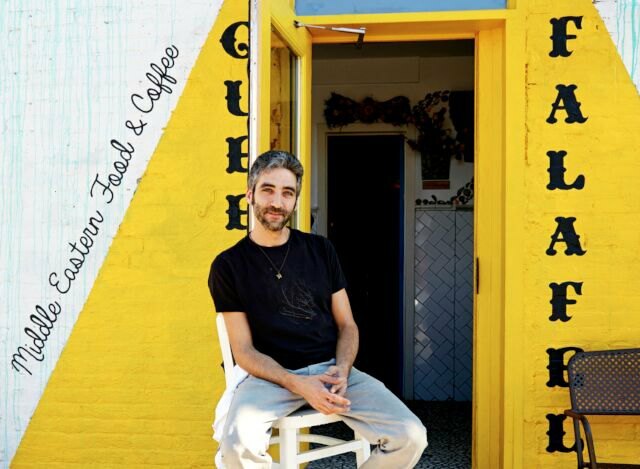 And it’s run by two longtime House of Yes patrons (now partners), Ilan Telmont and Justin Ahiyon who both have Mediterranean backgrounds. So, it's just something they do really well. 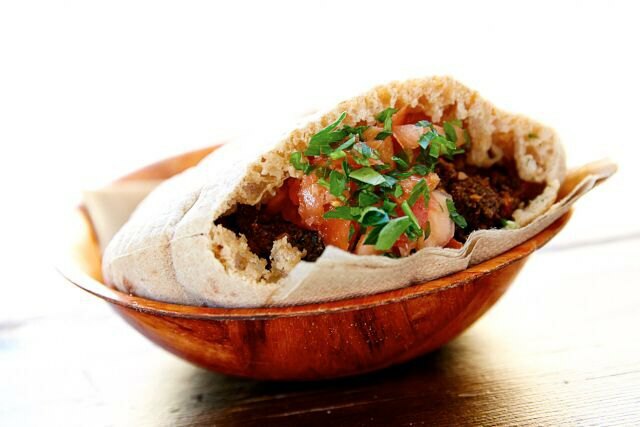 They’ve got a short menu of delicious Middle Eastern staples – eggplant sabich, shakshuka and hummus plates. Peep the full menu here. It makes for a great quick meal after getting off the train, should you feel so inclined. They also deliver. 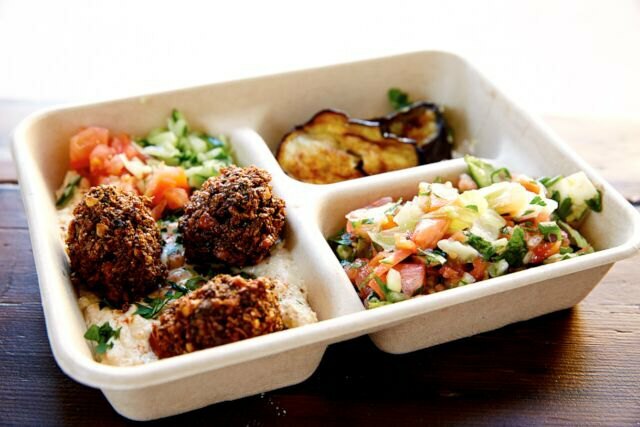 Queen of Falafel is located at 2 Wyckoff Avenue at Jefferson Street, 646-838-4937.